Learning the spiritual life means combining prayer and education. And, of course, it is especially important to understand that a spiritual father cannot offer in five or ten minutes that which it takes years to acquire in a normal spiritual life. After all, it frequently happens that someone entering the Church thinks that he will immediately become a saint and obtain special spiritual gifts from God. But this does not happen. 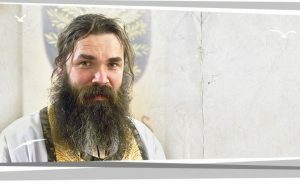 Schema-Archimandrite Eli (Nozdrin) is one of the most renowned and respected spiritual fathers in the Russian Orthodox Church today. 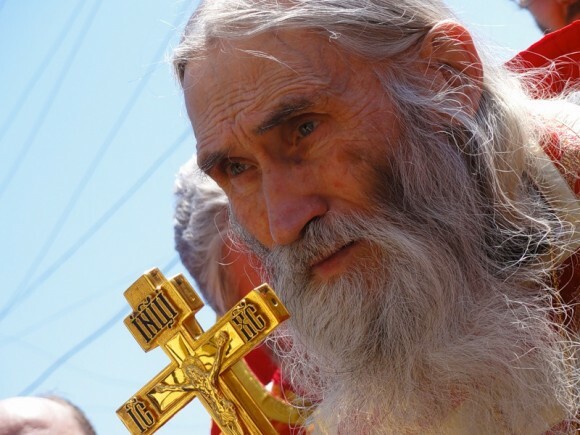 He currently serves as the spiritual father of His Holiness, Patriarch Kirill of Moscow and All Russia (his classmate from theological academy), and of the Optina Monastery. Alexei Sokolov conducted this interview. 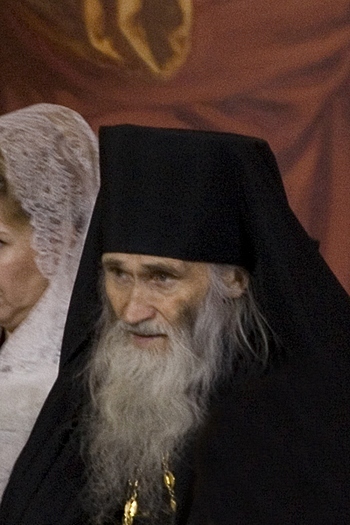 Batiushka, tell me, why is spiritual guidance necessary for someone entering the Church? And what should it be like? The spiritual life needs to be learned; this is perhaps the most important learning in our world, without which our society is doomed. Have a look at where godlessness has lead us: to the rejection of life according to the commandments. It is no accident that in the middle of the [last] century the world stood on the verge of destruction and nuclear disaster during precisely those years during which it was promised to “show the last priest” on television in the near future. Now terrorism, satanic hatred, and the degradation of our villages all share a common root, mounting towards the destruction of the continuity of spiritual experience, without which we cannot live a normal life. This not only pushes man away from salvation in eternal life, it is also destructive of our present social life. The task of spiritual instruction is precisely the restoration and strengthening of the tradition of passing on, preserving, and increasing spiritual experience. The importance of this ministry is shown by the fact that in the Gospel the Lord Himself is called the Teacher. After all, He Himself gave us an example: the Savior walked through Palestine from end to end with His disciples, doing just as others teachers of that time were doing – not only in Israel, but also in Athens and the East. Christ thereby showed us that a warm study is not necessary for spiritual learning; one can learn on bare rocks. The most important thing is what to learn, and how. Christianity offers a very clear answer. Our faith, and the richness of our spiritual lives, is gained first of all through direct communion with God – that is, through prayer, by which one’s faith is established. Without this, according to Theophan the Recluse – a former rector of the Petersburg Theological Academy, by the way – theoretical knowledge and education are of little value. But, at the same time, this does not negate the value of knowledge, which is also an integral part of the spiritual life, one that can by no means be neglected. Why do we have so many problems today, including in the spiritual life and in finding a spiritual father? The whole trouble lies in the absence of Orthodox upbringing and of knowledge in the realm of theology. When a child gains at least some understanding early on of what the spiritual life is, and of what faith is, then he can avoid many mistakes. Prayer and turning to God should be combined with education, the acquisition of knowledge, and changes in one’s daily life. It is just such changes that a spiritual father should guide, but he alone cannot offer much to someone who is not ready to receive it. A spiritual father can explain something but – as it says in the Gospel parable – the sower can sow, but when the sparrows and crows fly in and peck the grains, man is again left empty. A person and his spiritual father should cooperate, acting as coworkers. Only then can one begin to speak of a person’s true spiritual growth. It is thought that a spiritual father should teach one how to think and spiritually grow independently. However, many people prefer simply entrusting themselves wholly to a priest, asking advice even about what kind of wallpaper to buy. Many people condemn having a layman renounce his own will. Is this indeed improper? A person should preserve his own will and make his own decisions, because only a person himself can make final choices within his own soul. Could the Lord not have saved Judas from betraying Him? He could have, of course. Then why did He not? Because this could only have been done by violence. Forcing someone is impermissible for God, for God’s holiness. A compulsory good cannot be good. After all, why was the Savior crucified? He could make the world ideal, with no flaws on earth, leaving man in need of nothing, of neither armies nor offices. But the Lord could do this only by force, by breaking people’s free will. But He did not do this, leaving open the opportunity for people to choose between good and evil independently. Our social life gives a person ready knowledge, culture, and experience – but it is left up to him how to use it. It is the same thing in the spiritual life. The Lord gives us – through His redemptive mission, through the Cross – the opportunity to overcome our weaknesses and to do battle with the devil. Yet we can take advantage of this opportunity only by our free will. The Lord created the universe for us; He gave us laws by which to live; He gave us water, food, and everything necessary. But just how to live in this world depends primarily on our own will, labor, and knowledge. Therefore, it is important that life be based on both the fulfillment of Divine precepts and on free human choice. But what if a spiritual father openly breaks human will by trying not to teach, but to command? Then he is not a spiritual father. What else is there to say? Everything has been said in the Gospel. Look at how the Savior acted, at how the Apostles acted. That is how a spiritual father should act, too. But if he does not act according to Scripture and does not follow the commandments of the Gospel, but tries to use force – then how can he be the spiritual teacher of a Christian? Of course, one needs to encourage a person to change, one needs to correct and guide him – but, at the same time, one should under no circumstances suppress his personality. Again, it is incorrect for one to look somewhere over the sea, thinking that everything will be better over there. The Elder Silouan said that if a person believes his spiritual father, the Lord will reveal wisdom to him through his spiritual father, regardless of how wise, learned, or experienced the spiritual father may be. Here the seeker needs to have more trust in the Lord. If one trusts God, then God’s grace will reveal to the seeker that which is necessary. The lives of monks and laymen, of course, differ seriously. They are two different paths, yet leading equally to the main goal of human life: the salvation of the soul and union with God. When someone enters a monastery, he entirely dedicates his life to the salvation of the soul. His life is made up of prayer and obedience, which should be an integral part of any monk’s life. And here, by the way, the role of the spiritual guide, and the degree of subordination to him, should be significantly higher. But the life of a layman is also subordinate to the same goal of salvation. The difference is that, for a layman, it is accompanied by other duties: caring for one’s family, raising one’s children, and other important and God-pleasing concerns. In addition, one whose life is not removed from the world faces a mass of worldly temptations – but this is not simply an extra danger, but also an extra opportunity, because by overcoming these temptations one acquires invaluable spiritual experience. It is important to remember that the Lord knows to whom to send which trials. There is no one who cannot be saved. Therefore, in choosing one’s path, one needs to remember that both the life of the monk and the life of the layman are equally salvific. It is important to make one’s choice thoughtfully and without haste, based on one’s inner priorities – and then to act in accordance with one’s conscience and with God’s truth. So what should someone do who has just entered the Church and is looking for a spiritual father? How should he make the right decision? It is important to remember that our world lies in evil and that we are all sinners following the fall of Adam. Everyone, including every spiritual father, has his sins. The complete ideal never happens. Indeed, there are people of great knowledge and spiritual experience to whom one can go for spiritual guidance. However, one needs to choose carefully, bearing in mind that even a very good spiritual father can, for some reason, not be personally suitable for you. Even a very erudite and experienced spiritual father might not be suitable for purely human criteria, making it difficult to build up a relationship. Therefore, it is important to take everything into consideration, including human compatibility. Moreover, I would like to recall what Theophan the Recluse said about the foundation of the spiritual life. What is the Heavenly Kingdom? It is communion with God, purity of soul, and the grace of God. Cleansing oneself of one’s sins and personally turning to God are the most important reasons for which one enters the Church. If someone has learned how to repent, how to amend his soul, and how to pray – then he can live under any spiritual father; he can act by himself; he can choose independently for the good and strive for it. But if he has not learned how to do this, then no spiritual father will be able to help him. It is also important, in entrusting oneself to someone, that one evaluate the situation independently. 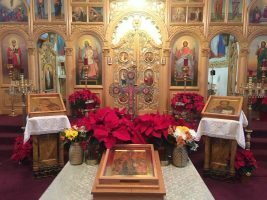 It is essential that one correlate the words of one’s spiritual father with the words of the Gospel, with the teaching of the Church Fathers, and with the Church’s conciliar decisions, which are important to study and to understand. No spiritual father has the authority to override them. And, of course, someone who has entered the Church needs to pray without ceasing – for, after all, communion with God is the main goal to which every Christian aspires. These words, attributed to Khrushchev, entered mass consciousness in the Soviet Union; both the origin of the statement and the year of the predicted display are disputed. The word translated here as “priest” is “pop,” a derogatory term.